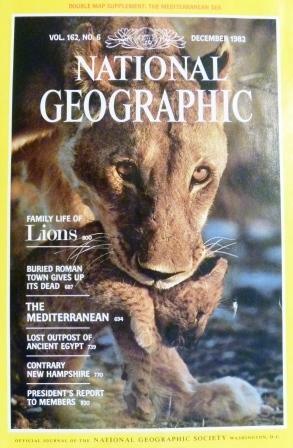 Every Christmas, my Dad got a National Geographic gift subscription from his mother, so a closet in my childhood home museumed NG’s dating to the early 1950s. When a new journal arrived, it was relegated to the back of the toilet—but each was a passport to new and exciting passions: sharks, volcanoes, highways I’d never traveled (somewhere in my basement there is a photo of me at age four sitting on the toilet “reading” the National Geographic). In some cases, the articles I loved most were compasses for major life decisions: where I went to college, what I was going to be when I grew up, how to process and survive injustices done to me by others. Dad kept close watch on his inventory, but over the years, I’d absconded with a few of my favorites. These are the five I have left. 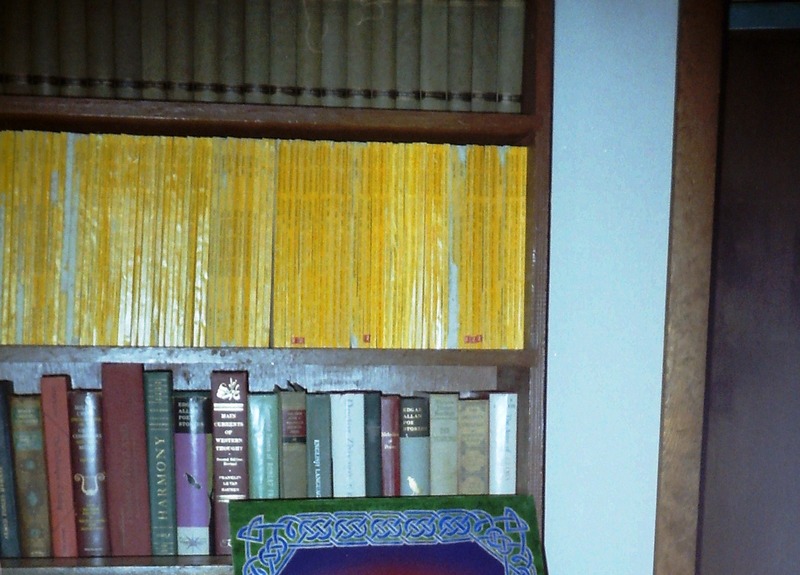 You can see how many of Dad’s issues I had here on this shot of my bookshelf in 1993. Sunday, May 18, 1980:Mt.St. Helens erupted. The family was packing up for church and then my grandmother’s house. I don’t think we heard the news until later, and then I was upset I wasn’t home alone with the television. To make up for it, Dad let me stay home from school on Monday. This was before the days of 24-hour coverage, so to have news on all day, or even on-and-off during television programming, was a huge deal. 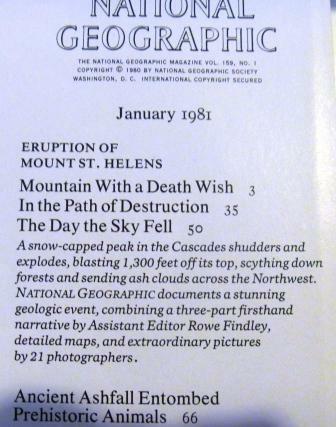 I was nine when the mountain blew, but its story made me a regular 5 or 6 o’clock news watcher—at least for awhile. Eventually, reporting on the event taxied to a halt. I was desperate to explore further, but there wasn’t much material available (for those of you who are younger, there was a time when no one had Internet and there weren’t such things as Amazon when you could get books on anything you wanted—you were restricted to whatever was on the shelf at Bradlee’s or Caldor). So when this issue arrived a few months later I was thrilled. At last, I was going to get the inside scoop. 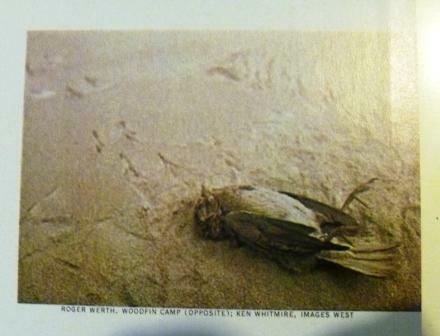 …and it’s probably why, to this day, whenever I see a dead bird I photograph it. 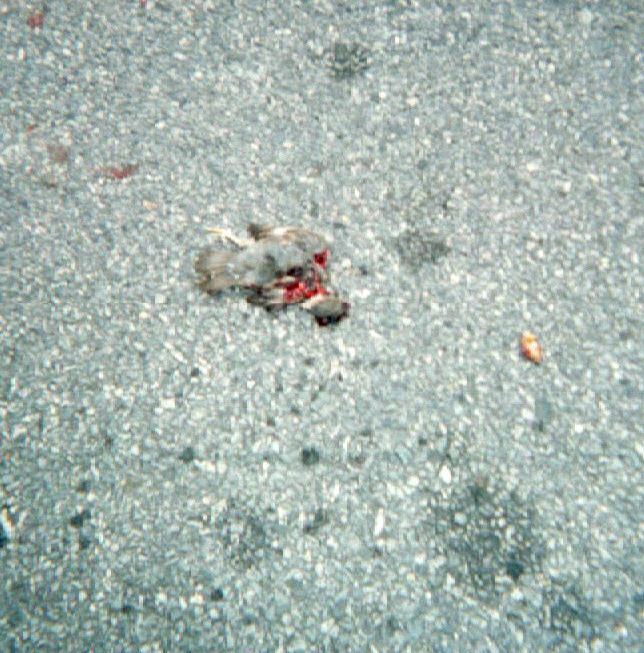 Here’s one in the Bronx Zoo parking lot, Bronx, New York, July 24, 2004. 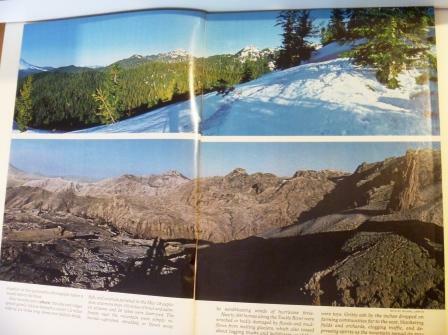 This vista—before and after—was like watching a train wreck. I couldn’t believe how something so lush and green could turn into a moonscape in minutes. This would become one of the reasons, though, that my favorite piece in Disney’s Fantasia 2000 is “Firebird Suite,” which relies heavily on the Mt. 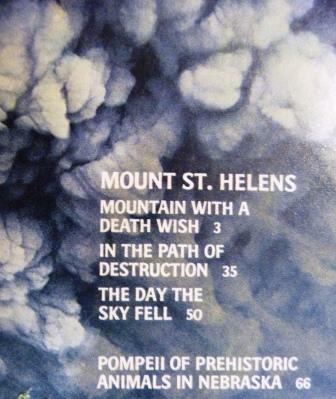 St. Helens eruption for its inspiration. A photo of Mt. 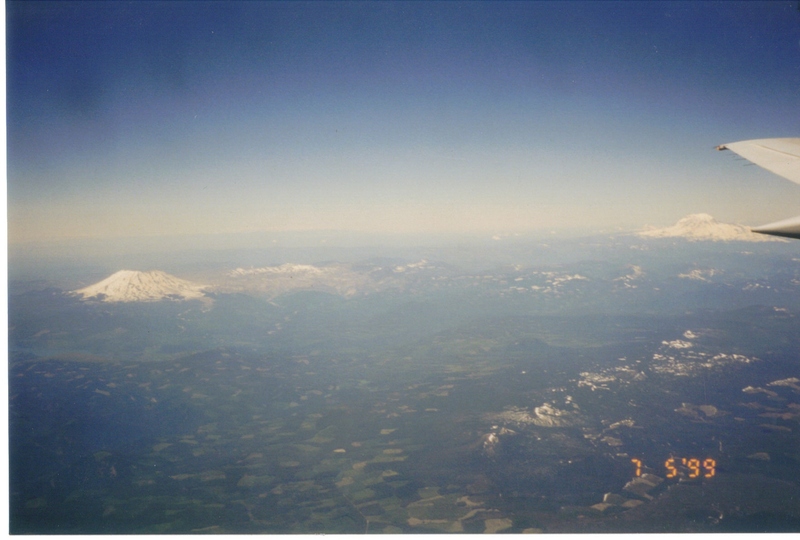 St. Helens taken by an ex-boyfriend of mine as he flew over it back in 1999. He was, in all honesty, a selfish person who rarely considered anything beyond his own comfort, so I was surprised he’d even thought to do this for me. It created a bond between us for a little while, but still wasn’t enough to save the relationship—no shock there. 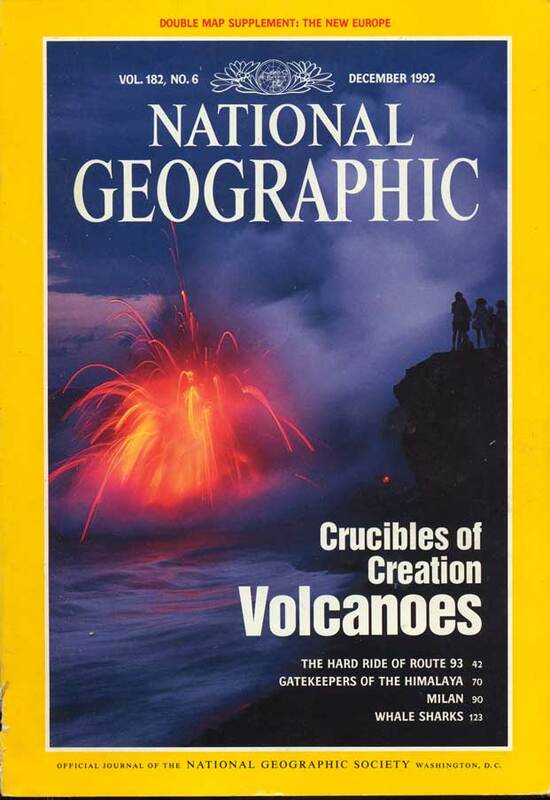 Who’d expect that a photo of an explosive volcano would make a great totem for anything? I was dumb enough to try—at that time, the way to my heart was still through science. At the time, our babysitter was Dawn Nagle. She bought me an oil lamp crafted fromMt.St. Helensash. To this day it is one of my most treasured possessions, and I still light it once in awhile. Here’s an excellent website which looks back at the Pulitzer Prize-winning coverage provided by The Longview Daily News (out ofLongview,Washington, which isn’t too far from the mountain). The article following the extensive Mt. St. Helens piece, “Pompeii of Prehistoric Animals in Nebraska,” mapped a moment in time ten million years ago in which animals were engulfed in volcanic ash as they romped about in their water hole: “Death comes with agony in a rain of volcanic dust, causing the animals to suffocate.” This image captivated my imagination. Did they understand what was happening to them? I remember the day this came in the mail; I was 13. I slid off the brown-bag cover (remember those?) and the sight of this terrified me. Then I saw “The Dead Do Tell Tales at Vesuvius.” I’m not even sure if I knew anything about Vesuvius at the time, but as you’ll discover in future episodes, volcanoes fascinated me. It never made it to the back of the toilet or the archives. 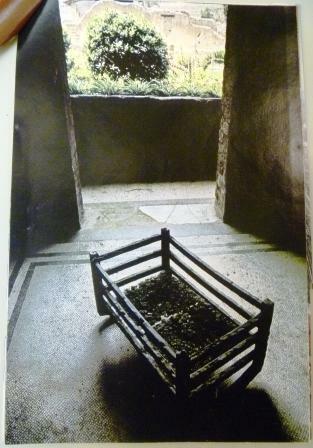 The photo of the cradle that disturbed me. Although I’ll admit I was disappointed the bones weren’t in it. 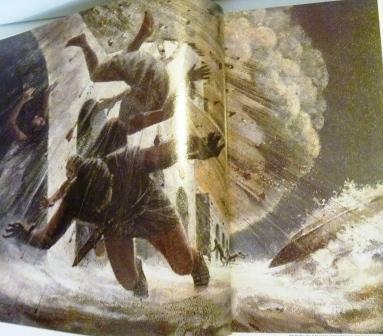 At the time, my heroes were scientists: marine biologists, geologists, or volcanologists. I wanted to grow up to be one of those, but hadn’t decided yet. 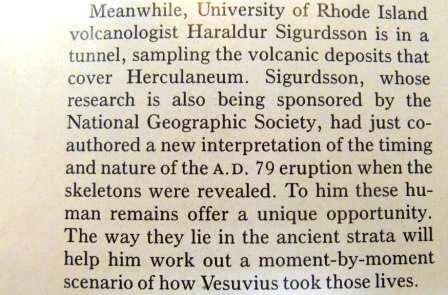 The first scientist depicted in the article wasUniversityofRhode Islandvolcanologist Haraldur Sigurdsson. Haraldur was immediately added to my list of heroes. After I came across his photo I read the whole article to learn more about what he had to say. I was enthralled with the idea that it was possible to lay out an actual timeline just from looking at the layers of dirt. At that age, I’d never heard of such a thing. Wow, I thought, I would sure love to take a class with that guy. I will definitely apply to go to school there. Sure enough, in 1989 I did. Those of you who know me know that I embarked on my higher education at URI. Years later—in 1998—I completed my first novel (it was terrible and it will never see the light of day, have no fear). It was a ghost story (of sorts) and was, perhaps, the first time I ever flirted with applying Poe’s triggers and the nature of haunting. I needed ghosts—but I wanted ghosts of a specific nature. I wanted a common element among the ghosts—they needed to be burned, specifically, in their physical lives. 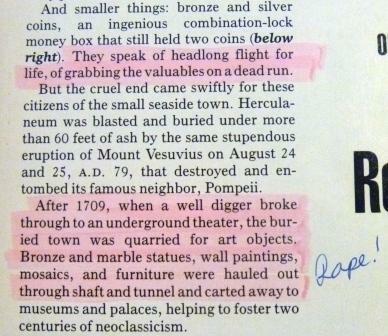 I already knew I’d wanted to use Pompeii, and so I started digging through my massive Pompeii collection (more on that in a future episode) and read just about every book, but couldn’t get this article out of my head, because of its connection to where I eventually went to college and the book’s setting. I re-read it, and it became the map for a whole plot thread. 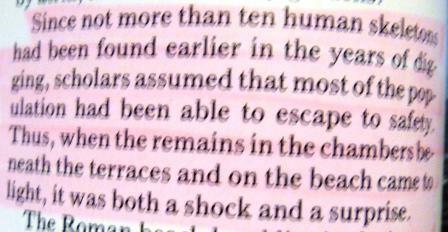 This is the paragraph that inspired one of the major plot threads in my 1998 novel. This paragraph played a major role in one chapter’s dialogue. 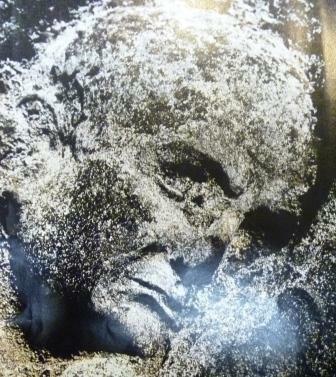 This is the face of a toppled statue in Herculaneum’s theater—it was imprinted in the volcanic flow. This face became the face of one of the ghosts in my 1998 novel. 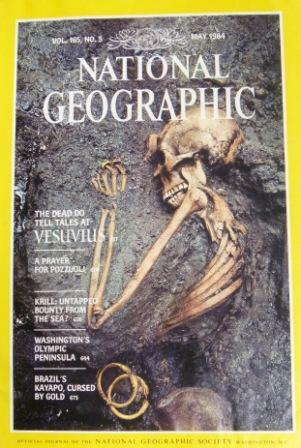 This one comes second in the sequence because it was the May 1984 issue which led me to it—“The Dead Do Tell Tales at Vesuvius” made reference to “Buried Roman Town Gives Up Its Dead.” I descended to Dad’s archives and pulled it out. I was forever highlighting information—mostly facts I wanted to remember—but the first line I highlighted on this page because of its forlorn quality. It brought a desperate image to mind. 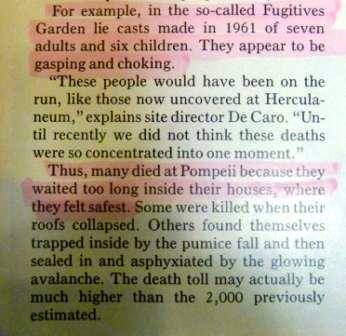 That so many people died at Herculaneum was a shock to scholars, since before this, hardly any remains had been found. I remember I couldn’t stop looking at this picture. It horrified me. 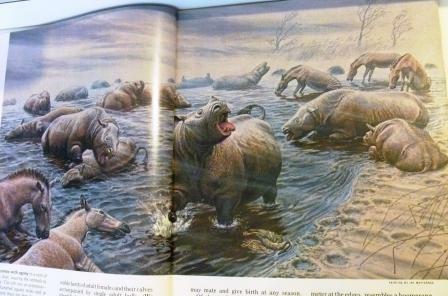 Imagine, like the man in the forefront, diving head-long into hot ash and knowing you aren’t going to get up. Ever. This article would also serve as fodder for the 1998 novel, but when I was reading it back when I was 13, I kept envisioning piles of people huddled in the boat bays. According to the story, they were instantly incinerated. The thought of that haunted me for weeks. 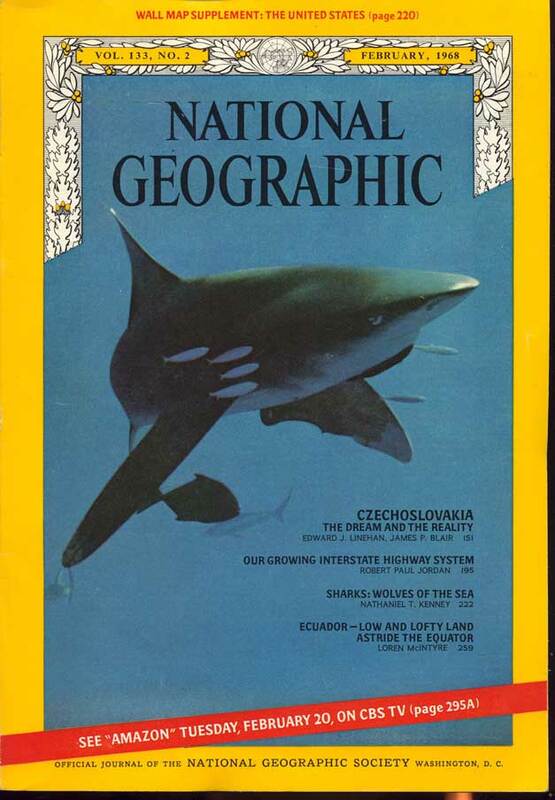 The cover that kicked off my obsession with sharks. 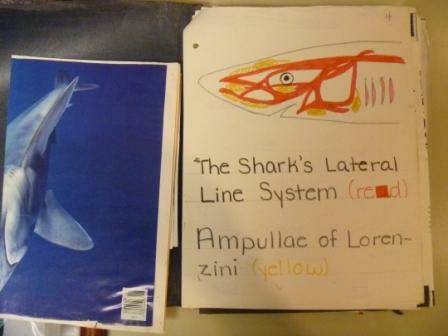 I was 11 when I found this one in Dad’s collection, and the shark was so mean-looking I was sold—that old principle of being fascinated by things that we fear. I was done—sharks were the new love of my life. The copy I have isn’t my father’s original; it’s one I bought about 15 years ago at a tag sale. The original I cut up so I could tape the pictures all over the walls of my secret under-bunk-bed hideout (I am SO GLAD my father did NOT find out about that). Years later, I was watching the movie Jaws, and there is a scene in which Roy Scheider is flipping through a book about sharks. Many of the photos from this article are in that book. 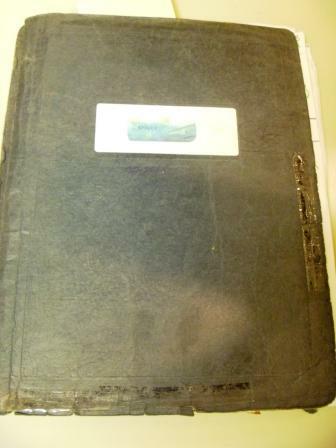 Anything about sharks—articles, photos, whatever I could find—I shoved into this notebook. Here’s an example of the stuff I did in my spare time. I’m sure I traced this from some photo I found, because I couldn’t free-draw any better back then than I do now. 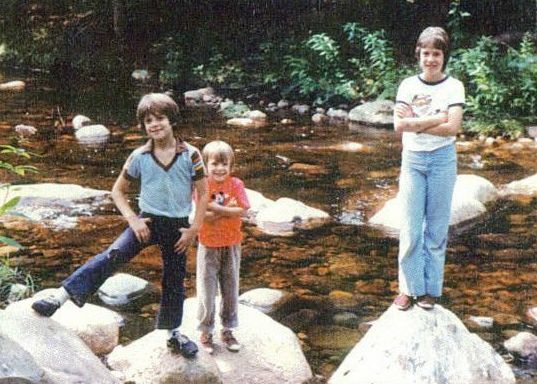 From left, my brother Chuck, my sister Missie, and me in the stream that ran through our five-acre property up in Salisbury, New York, in the Adirondack State Park. Each of the rocks had names. I am standing on my pet Great White Shark, “Cream Cheese.” Missie is standing on my pet Lemon Shark, “Crackers.” These sharks were the method of transportation for the character that represented me in my Underwater University series of stories, which were inspired by all of the science books I was reading and were about scientists of all kinds living in an underwater station similar to the one in the Battle of the Planets cartoon series. 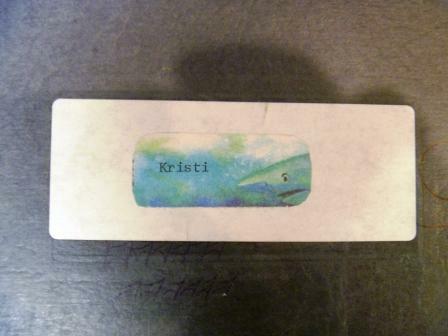 The character that was “me” in these stories was the Senior Ichthyologist. There were 26 stories; sadly, I only have 24, 25, and 26. I have no idea what happened to the first 23. 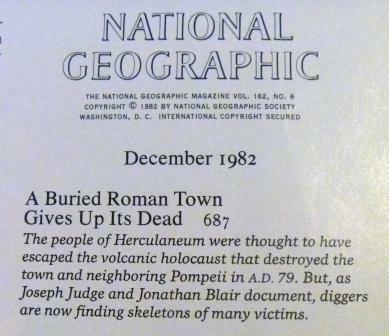 Obviously, I took this one because it had an article on volcanoes I wanted to read. I got the surprise of my life when I discovered that “The Hard Ride of Route 93” was much more interesting. I was home from URI for Christmas weekend, mostly because I needed to recover from a really screwed up pseudo-relationship with a person who basically had no relationship skills—I was confused by all the head games this person played, and really had no way to process it, let alone forgive it. Christmas weekend that year was a much-needed respite around normal people. Enter the article “The Hard Ride of Route 93.” The characters who lived and traversed that desolate highway in Nevadawere romantic, intense, damaged, and off—just like the person I’d been dealing with. 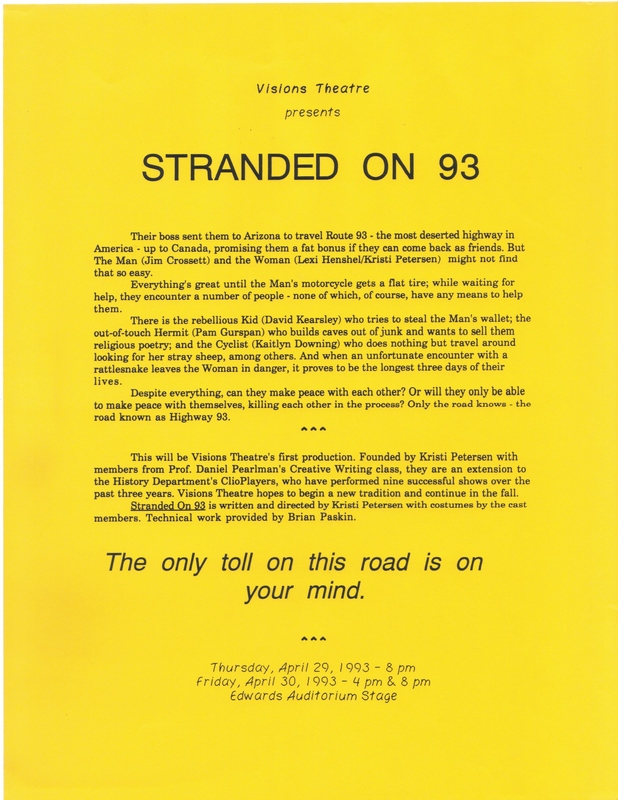 I read the article several times, took the issue back to Rhode Island with me, holed up between December 27 and 30 (yes, it only took me four days) and wrote the play Stranded on 93, which was produced at URI in April of 1993. By the time it was all over, I hadn’t forgiven the person—but at least I could understand the problem wasn’t mine and could move on (and something tells me that person hasn’t changed at all, because people like that usually don’t). 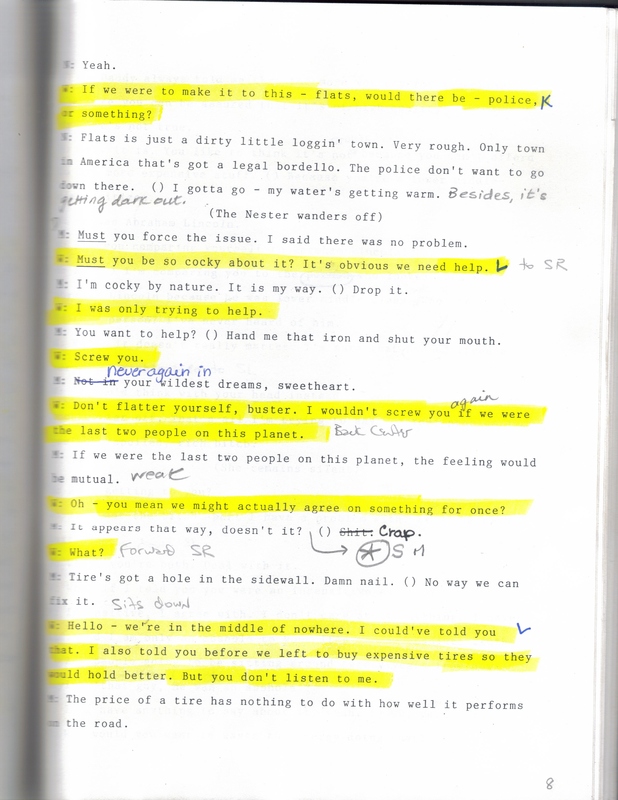 A page of the Stranded on 93 script. 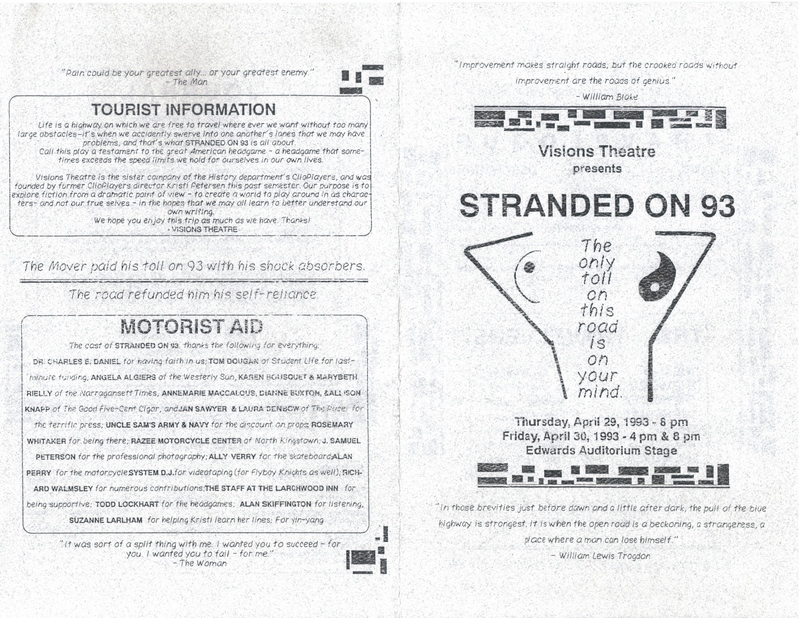 The press release for Stranded on 93. Pages four and one of the program. 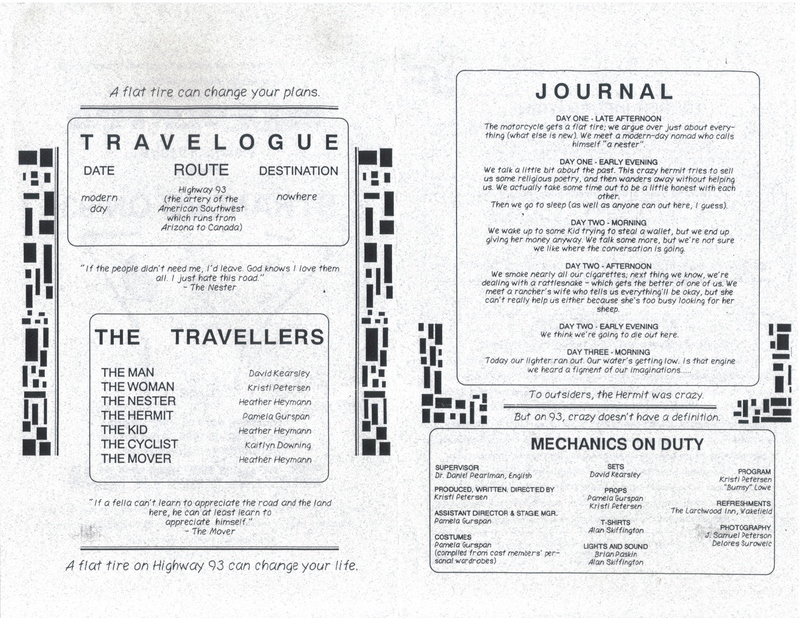 Pages two and three of the program. 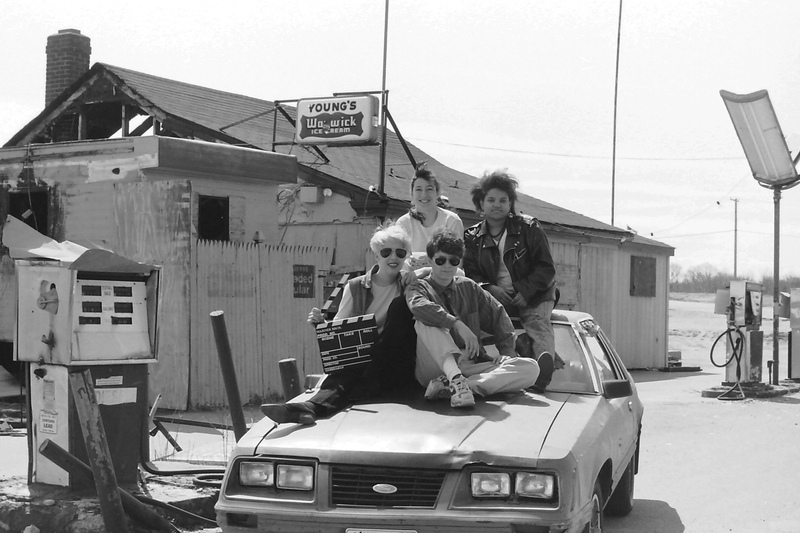 The Cast of Stranded on 93 poses on my old 1986 Mustang at an abandoned gas station on Route 2 in Rhode Island, March, 1993. So what am I doing with the three that I’m letting go? Well, I’m committing a sin: I’m ripping out the cover and the significant article. 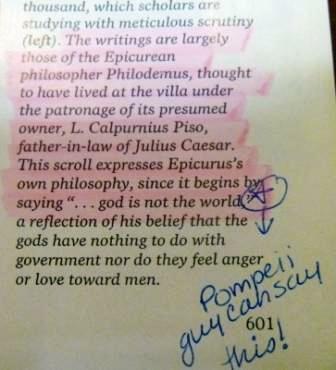 The two articles on Pompeii will go into the one Pompeii book I kept. The one on Mt. Saint Helens will go into my childhood save box (I’m allowing myself one tub of special keepsakes). As for the other two, I can say I will never leave those behind. 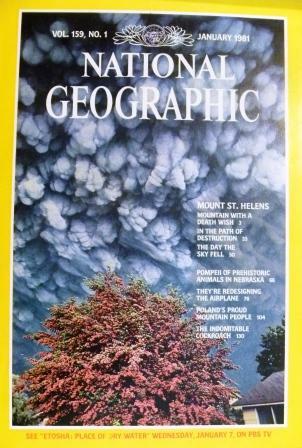 Posted on June 6, 2011, in The Goodbye Project and tagged Clearing Clutter, Feng Shui, Goodwill, Herculaneum, Hoarders A&E, Hoarding, How to Get Rid of your Junk, Mt St Helens, National Geographics, Pack Rat, Pompeii, What to do with your old National Geographics. Bookmark the permalink. Leave a comment.